Like many other devoted Charlton fans, I made the long haul up to the North West to see the Addicks clinch promotion at Carlisle for the third time in their history. A single goal from Bradley Wright-Phillips was enough to give the visitors all three points on an emotional afternoon. 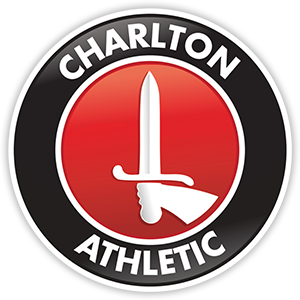 Charlton started the game on the front foot and could have gone ahead in the 17th minute when Danny N’Guessan saw his effort sail way over the bar. The hosts themselves were looking to pick up points to aid their bid for the play-offs, and their best chance fell to Jordan Cook, on loan from Sunderland, but he wasn’t able to keep his composure. He found himself with time and space on the edge of the area, but his shot went well wide from a promising position. In the second half it was the hosts who were closest to going ahead: Liam Noble tried his luck from 20 yards and his shot beat Ben Hamer, but the league leaders were saved by the woodwork. At the other end, Adam Collin had to be alert to deny Wright-Phillips. The prolific front man beat the offside trap and found himself one on one with the keeper, but he was unable to put the chance away. Minutes later, Collin was on hand again to deny Yann Kermogant when the big Frenchman climbed highest from the corner, but his powerful header was well saved. Then, with 13 minutes to go, the visitors took the lead. Skipper Johnnie Jackson whipped in a corner from the right, the ball was flicked on, and Wright-Phillips was in the right place at the right time to prod the ball over the line. The goal sparked wild celebration in the visiting corner of the ground. The 900-strong army of Londoners were united as one in joy as a nervy ten minutes followed. But as Charlton hung on, news filtered through that Sheffield Wednesday had been held to a 1-1 draw at Colchester, and the players and fans were able to celebrate. After a number of fans had managed to evade the stewards and police to get onto the pitch to congratulate their heroes, the players were shepherded back down the tunnel. But the visiting supporters stayed where they were, singing and chanting, wishing to see the team return to the pitch. Sure enough, they got what they wanted. The players raced over to the far corner of the ground, greeted by jubilant supporters. Powell was thrown into the air by his players and staff as the crowd sang his name. Players, management and fans all had tears in their eyes as the Addicks were promoted back to the Championship. For the hardy souls that made the 600 mile round trip, it proved to be a day that none of them will ever forget, and most certainly a day when you can say ‘I was there’. Next Post Who's the man..?